Annotation: Help kids extend and deepen their reading experiences with these delightful, comprehension-boosting graphic organizers. 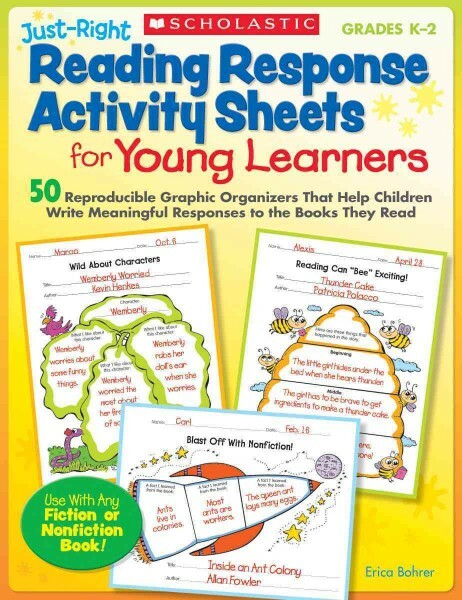 Designed for use with fiction and nonfiction books, the simple formats help young readers really think about what they read and record their thoughts in an organized, meaningful way. Topics include identifying story elements, sequencing events, drawing conclusions, summarizing, making connections, examining words, and more. Encourages critical and creative thinking!